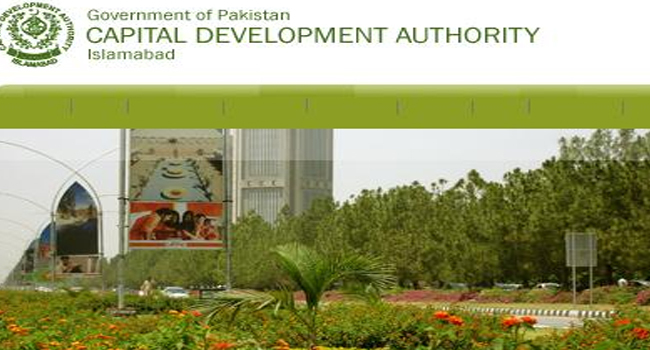 New Capital Development Authority (CDA) Chairman Engineer Farkhand Iqbal had spoken of many welfare projects for the residents of Islamabad in his first formal press conference, but like his predecessors, he seems uninterested in facilitating the capital city with a proper transport service. The long-standing issue has been discussed several times within lawmakers’ and media circles but to no avail. After assuming charge, the CDA chairman had talked about many issues of the people, including the development of stalled sectors, replacing the street lights from LED’s and utilising the garbage for generating energy. However, the question of proper transport facility in the federal capital remains unanswered. Former CDA chairman Imtiaz Iniyat Elahi and Prime Minister Yousaf Raza Gilani had also made claims of starting CNG bus rapid system in the city but all of the pledges and claims have been left unfulfilled. Moreover, due to the gas crisis faced by the country today, the feasibility of CNG bus service is unachievable. Thousands of people travel within and between the twin cities of Rawalpindi and Islamabad and they have to face a lot of difficulties in reaching their destinations. Student’s plight: A large number of educational institutions are situated in Islamabad but reaching these institutions is a major task. The students, who reside in the suburban areas of the capital, have to face inconvenience in the packed public transport vehicles, besides maltreatment by the drivers and conductors. “The school and college buses ply only on specific routes and I always use local transport to reach my college,” said Taseer Khan, a student. He said this is one of the major problems for all those who come from far-off areas. The students complained that a majority of the local transporters do not stop the buses when they see students waiting at the bus stops. Another student, Usman Mahmood said that due to financial problems, he couldn’t pay the full fare of the van, while the transporters did not allow him any student concession. He also mentioned the problems faced by female students in waiting to find a vacant seat due to which they reach their college late. He demanded the concerned authorities arrange sufficient buses for colleges. Female commuters’ problems: Many women work in organisations in the federal capital due to which they commute daily between the twin cities of Islamabad and Rawalpindi. However, traveling in public vehicles is not less than a nightmare for them. Most women have to travel all by themselves in Suzuki pickups and Toyota Hiace vans, which usually have only two seats reserved for female passengers. Therefore, the women have to stand at bus stops for hours to be able to board public transport. “I work at a call centre in Islamabad. Every day, I have to change two vans in order to reach my office. Mostly, I have to wait for a long time to get a seat in the van,” said Huma Shahid, a resident of the Raja Bazaar. She said that buses were more suitable for female commuters but currently, no bus service was plying between Rawalpindi and Islamabad, adding that it was a need of the hour to launch a proper transport facility for the public in general and female commuters in particular, so that they may travel with dignity. The government has been paying a large amount to its employees in the form of traveling allowance but has been reluctant in providing them a proper transport facility. Few of the government departments have their own transport facility but the employees of most other departments have to travel by public transport. A large number of private employees also use public transport to reach their offices. However, all employees are confronted by the same problems of inadequate transport facility. “The CDA should now focus on introducing proper transport system in the city instead of just focusing on facilitating the elite class,” said Husnain Ali, an employee of a courier company.